Ulet Ifansasti/Getty ImagesJUNE 24: Protestors demonstrate in front of the Presidential Palace claiming the Indonesian Government are failing to protect its migrant workers following the recent execution of an Indonesian maid in Saudi Arabia, on June 24, 2011 in Yogyakarta, Indonesia. The disappearance and death of journalist and Saudi critic Jamal Khashoggi has thrust Saudi Arabia back into a global spotlight that centres directly on the Kingdom’s troubled human-rights record. And because Khashoggi once enjoyed a level of proximity to the Saudi royal court, he was particularly outspoken about the Saudi leadership’s worst impulses and its aversion to dissent. During the early morning hours of October 20 local time in Saudi Arabia, the Kingdom announced its official admission that Khashoggi is dead. The matter did fresh damage to Saudi Arabia’s credibility, in part because the Kingdom had floated conflicting explanations about Khashoggi’s fate for nearly three weeks. The incident has sparked a global outcry. Some US lawmakers have called for sanctions against Saudi Arabia, while government leaders, companies and private investors have pulled away from the Kingdom until more is known about the circumstances of Khashoggi’s death. The Saudi-led coalition in Yemen has led to the deaths of thousands of civilians. 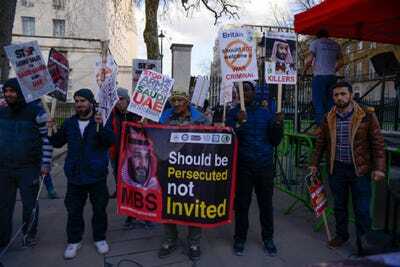 The Kingdom has been implicated as a sponsor of terrorist organisations, it has been accused of playing a role in some of the worst terror attacks in history, and its practice of jailing and publicly punishing activists has brought it to the brink of diplomatic crisis. Here are all the atrocities Saudi Arabia committed long before the outrage over Jamal Khashoggi’s death began. In 2010, then-Secretary of State Hillary Clinton warned that Saudi Arabia remained “a critical financial support base” for some Islamist terror organisations, including Al-Qaida and the Taliban. “Donors in Saudi Arabia constitute the most significant source of funding to Sunni terrorist groups worldwide,” Clinton said. According to the US State Department cable, the JUD official “forwarded JUD donation receipts to a probable LT front company in Saudi Arabia.” An LT official there is believed to have “acted as a front for moving LT funds,” the cable said, citing intelligence reporting. According to one of the cables, Clinton credited the Saudi capital of Riyadh for its “increasingly aggressive efforts to disrupt al-Qa’ida’s access to funding from Saudi sources,” but said the country had “taken only limited action to disrupt fundraising” for the Taliban and Lashkar-e-Tayyiba. Carsten Koall/Getty ImagesPeople take part in a protest by Amnesty International for the immediate release of the Saudi blogger Raif Badawi in front of the Saudi Embassy in The Hague, on January 15, 2015. Journalists there are subjected to scrutiny, and language deemed critical of the government can lead to detention under the country’s counterterrorism laws. Journalists also face the threat of public punishment and even death. In 2012, Saudi blogger Raif Badawi was charged with “violating Islamic values and propagating liberal thought,” and sentenced to 10 years in prison, 1,000 lashes, and fined 1 million Riyals, which amounts to about $US266,000, the US Commission on International Religious Freedom said. In August, Saudi Arabia contemplated a death sentence for activist Israa al-Ghomgham, who documented political demonstrations in the country’s Eastern Province. Alex Wong/Getty ImagesActivist Samar Badawi pictured with Hillary Clinton. Earlier this year, Saudi Arabia arrested scores of activists – most of whom had campaigned ahead of an official rule change that allowed women to drive. Some of the activists said the arrests were an attempt by Saudi leadership to stifle dissent and silence anyone who may seek to take credit for the Kingdom’s decision to lift the ban. The award-winning women’s rights campaigner Samar Badawi was among those who were arrested. She is best-known for challenging the country’s restrictive male guardianship laws, which prevent women from travelling, studying, or making important life choices without a man’s permission. 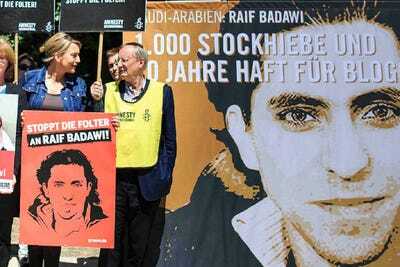 Badawi is the sister of jailed activist Raif Badawi. She had previously been detained for her advocacy and was banned from travelling. Her arrest prompted a concerned tweet from Canada’s foreign ministry, which asked Saudi Arabia to “immediately release” her and the other activists. The Kingdom expelled Canada’s ambassador. It froze new trade, suspended flights, recalled thousands of students, barred its citizens from receiving medical care in Canada, and began dumping Canada’s assets. 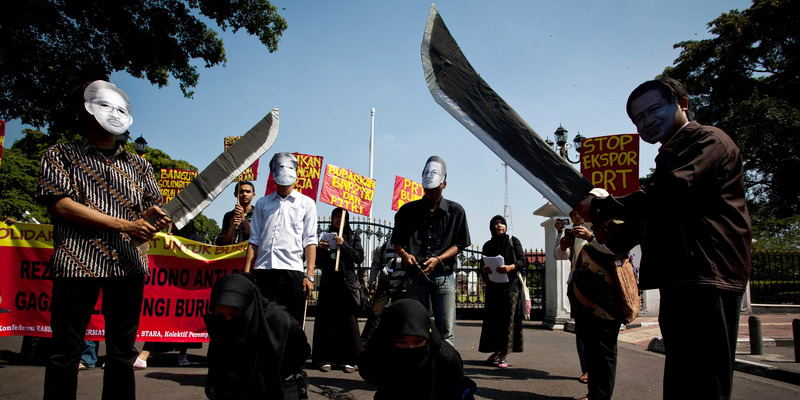 Ulet Ifansasti/Getty ImagesProtesters demonstrate against Saudi’s execution of migrant workers. 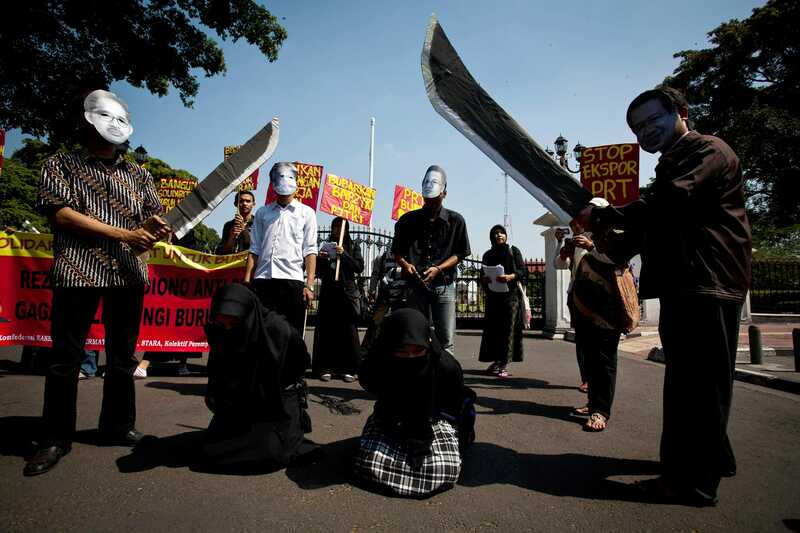 Saudi Arabia has also executed several foreign workers, a majority of whom came from Indonesia, prompting outcry from activists and organisations around the world. In 2014, Saudi authorities said a Yemeni man’s hands were cut off after he was convicted of robbery. Such punishment is uncommon. Turkish media reported that audio evidence indicated Jamal Khashoggi’s fingers were cut off before his body was mutilated at the Saudi Consulate in Istanbul. In November, the Saudi government detained approximately 200 of the country’s top government officials, businesspeople, and members of the royal family under the guise of corruption crackdown. They were held in the Ritz Carlton in Riyadh. According to a March 2018 New York Times report, some of the detainees were never informed of the charged for which they were being held. According to the US State Department’s report on Saudi human rights, security forces coerced some of the detainees “with relative impunity” – some of whom ultimately required medical care. Family members of arrested officials said detainees were “deprived of sleep, roughed up and interrogated with their heads covered,” according to the Times. In several cases, the country’s wealthiest were forced to hand over control of their businesses in exchange for their freedom. Saudi prince Alwaleed bin Talal, who now owns a large stake in Snap, was one of the people detained in the crackdown. He was released two months later. He praised the crown prince’s actions, but did not disclose details of the agreement he reached with the Saudi government. The international community condemned Saudi Arabia’s purported anti-corruption operation. All told, the crackdown produced more than $US100 billion in settlements for the government. Lebanese Prime Minister Saad al-Hariri/ Getty Images. His resignation caught some people in the region off-guard. During his televised announcement,Hariri launched into a tirade, lambasting Iran and its militant proxy group Hezbollah which holds important seats in Hariri’s joint government. Multiple Lebanese sources, as well as two US officials, told Reuters that Saudi Arabia masterminded Hariri’s resignation. The Lebanese sources also said that Saudi Arabia controlled his movements, and sources told The New York Times that Hariri was threatened with corruption charges if he did not cooperate. Mohammed Hamoud/ Getty ImagesThe aftermath of airstrikes carried out by warplanes of the Saudi-led coalition, on July 05, 2018 in Sana’a, Yemen. Saudi Arabia launched a military intervention in Yemen in 2015, leading a coalition of nine African and Middle East countries to intervene and back Yemen’s President Abed Rabbo Mansour Hadi. HRW’s investigation into the strikes found several apparent violations of war where Saudi forces fired at either no apparent military target, or failed to distinguish between civilians and enemy positions.